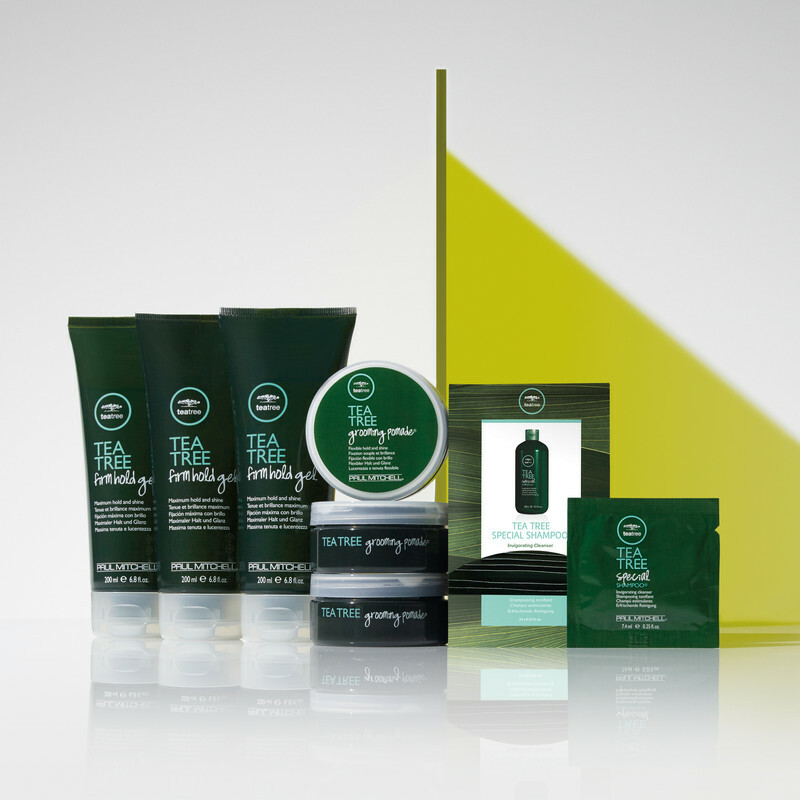 From its natural extracts to its cool beach aesthetic, clients have loved Tea Tree from day one. Its invigorating, aromatic sensibilities get all the credit, but well-informed clientele know that the brand’s versatile styling capabilities deserve just as much praise. To show off the natural magic and styling power of the Tea Tree lineup, look no further than one of this season’s hottest hair trends—the wet look. Shining and slicked back, few styles capture the Tea Tree spirit quite like the fresh-from-a-dip ‘do. The look is unisex, perfect for the beach months, and easier than ever to achieve, thanks to two Tea Tree favorites: Tea Tree Grooming Pomade® or Tea Tree Firm Hold Gel®. Straight-haired clients will love the former, as it locks damp, combed-back strands into place with maximum control, and for the wavy and curly set, the latter highlights their natural texture with tons of shape and shine. Contact your distributor to learn about how Tea Tree sampling opportunities can help you build and grow your business. 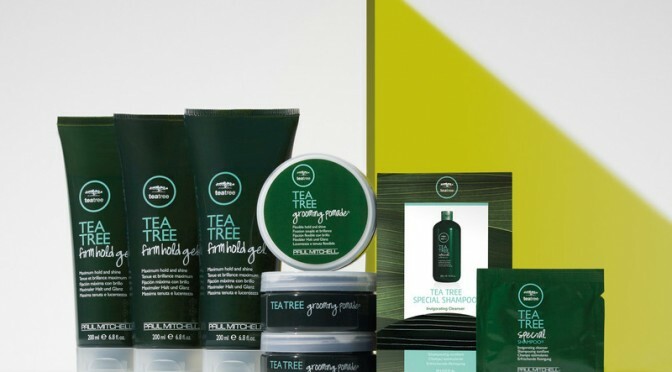 Purchase Tea Tree Grooming Pomade® and Tea Tree Firm Hold Gel® in the May/June promotional period to receive free samples of our bestselling Tea Tree Special Shampoo®. This is a great opportunity to offer gifts with purchase and reward your loyal guests. Sampling is proven to convert new users into loyal fans and increase revenue for your salon. Check out easily downloadable in-salon support like frame inserts and branded posters to reinforce the Tea Tree message throughout your salon. Help guests celebrate the summer and rediscover the relaxed styling power of Tea Tree with a new look and reinvigorated spirit. Previous PostGolden Girls: Blondes Get Back to the BasicsNext PostElectric Youth Contest Winners Announced!